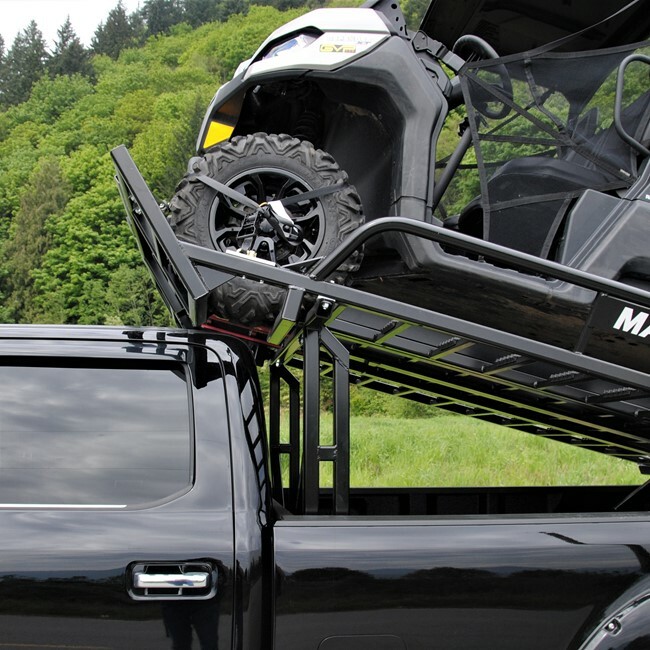 Our new side by side (SXS) deck was designed to carry 2 and 4 door side by sides up to 120” max length. 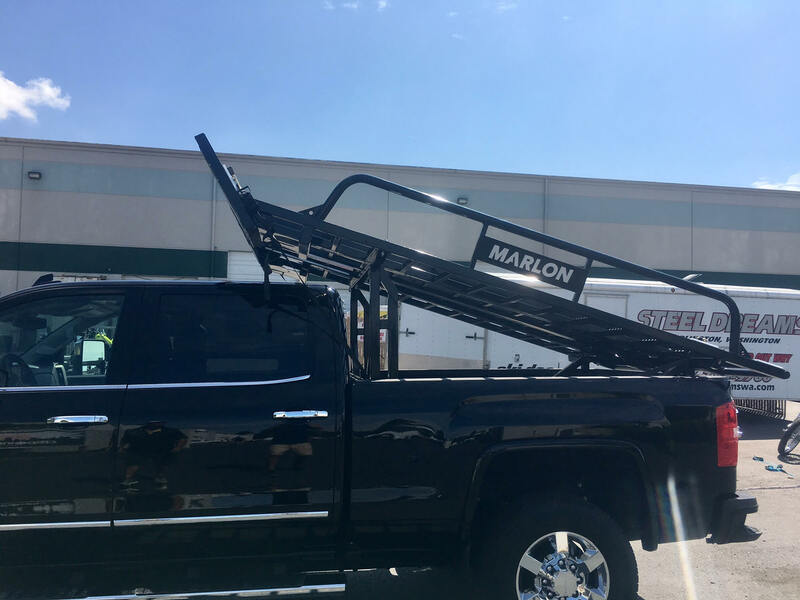 The deck comes standard with 10’ ramps that have 4” side safety edges making them safe and secure when loading and unloading. 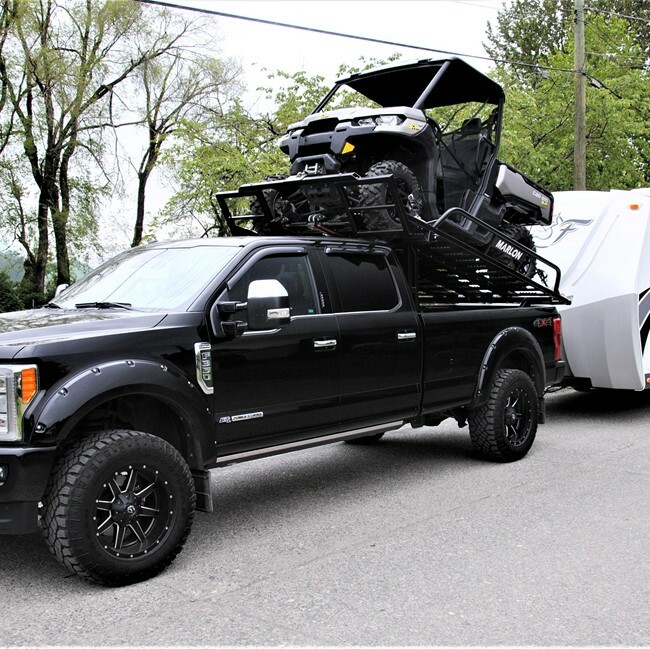 Carry your side by side to the starting line or staging area with your camping trailer in tow. 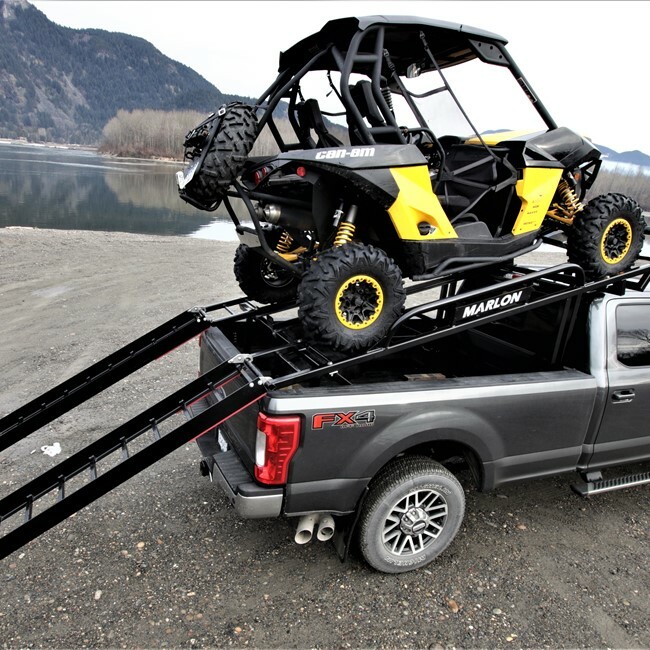 The SXS is specifically designed so you don’t lose any turning radius pulling a trailer. This unique design allows you to easily change from a short box to a long box within minutes. 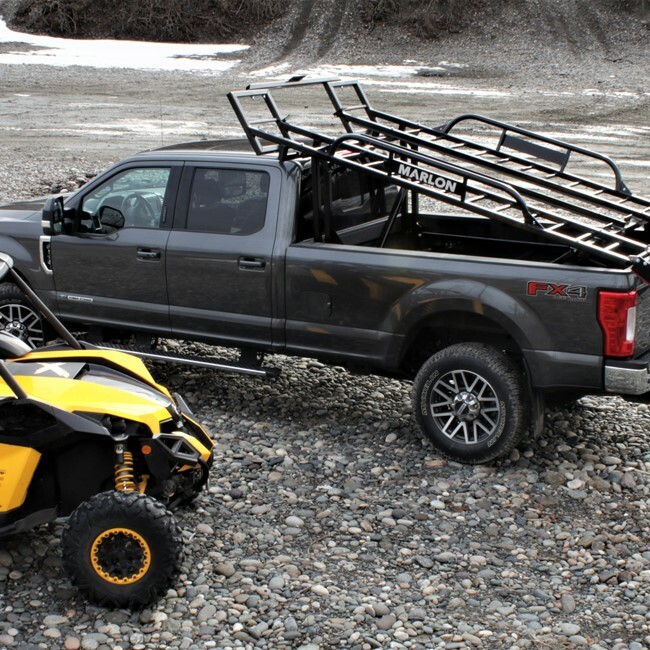 The solid mount winch plate will accommodate a Warrior 3500 xt winch and is designed with a pull point, so you can use your SXS winch if your equipped. 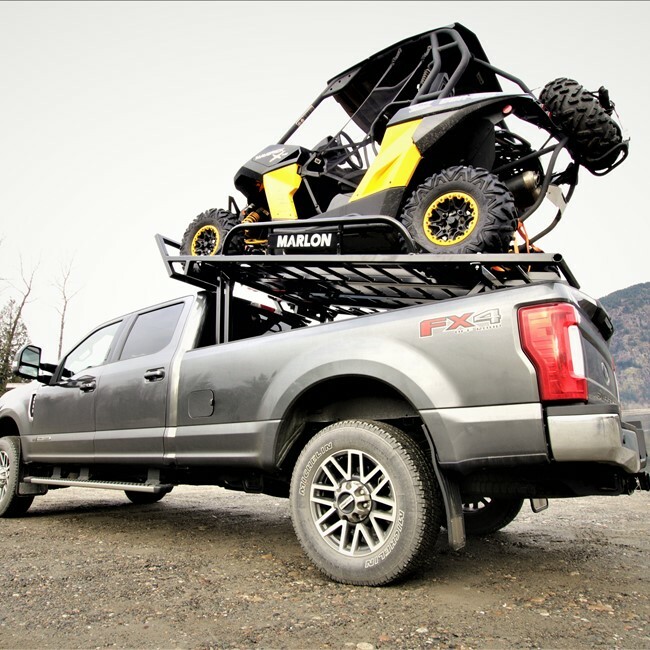 We recommend bolting your SXS deck to your truck with the supplied mounting kit. Machine securement is made easy with our unique tie down system. We have designed the SXS to have a positive park front tire position which gives the drive real feeling when your machine is loaded to the correct position. At 76” wide the SXS will fit the widest factory side by side on the market to date. 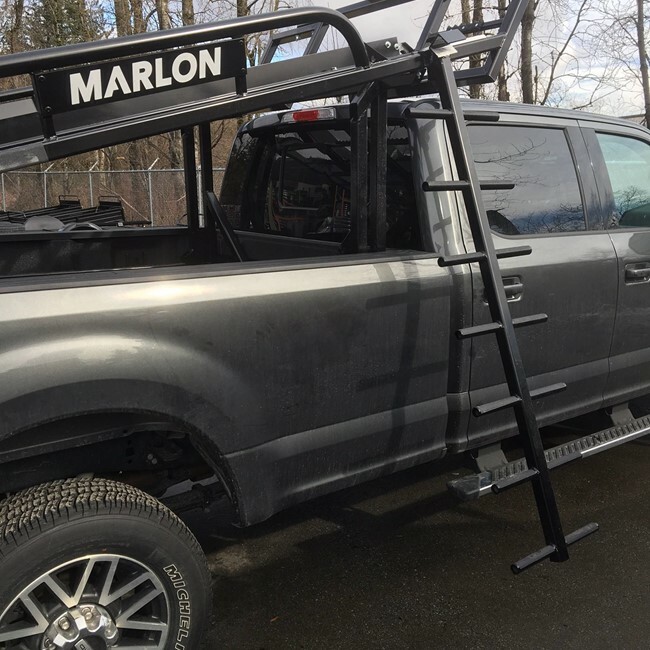 All loading ramp and deck ramps have rung protectors on them to assist in traction which is a huge safety feature. When not in use the ramps slide in and are secured under your toy! Now go have some fun! 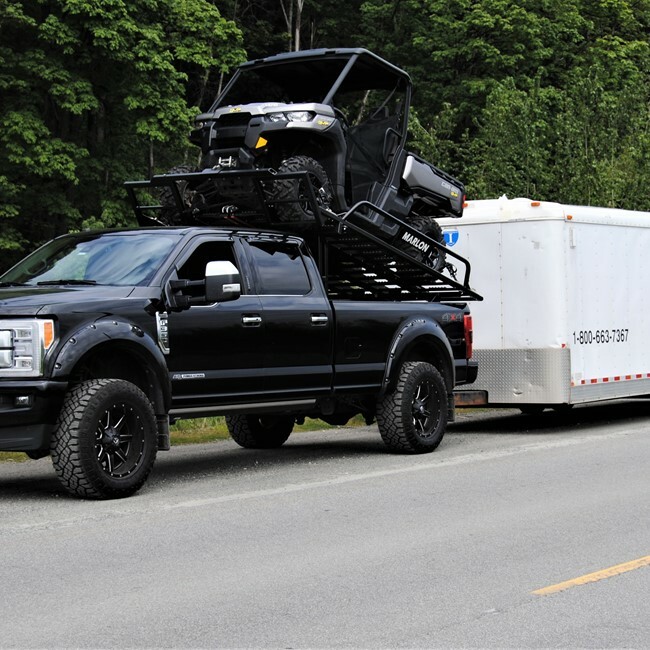 Max load capacity 2500#, MAKE SURE you are checking the truck maximum carrying capacity.